The conservative Christian news magazine World led off its 2017 wrap-up piece with the onrushing sexual harassment protests. Her observations are a glimpse of what’s called the “crisis” for U.S. evangelicalism in an anthology set for Jan. 23 release: “Still Evangelical? : Ten Insiders Reconsider Political, Social, and Theological Meaning” (InterVarsity Press), edited by Fuller Theological Seminary President Mark Labberton. “Still Evangelical?” provides a handy hook for reporters who have yet to examine the paradox of Trump’s evangelical support, why that occurs, its impact upon movement prospects and the reasons some want to junk the vague “evangelical” label as misleading and embarrassing. The book can also guide political writers who have trouble comprehending what the book calls “arguably one of [American Christianity’s] most vibrant and determined movements.” The Religion Guy himself would delete the “arguably” and contend that this complex, inchoate, ever-evolving movement’s only rival for U.S. religio-cultural influence is the Catholic Church. To over-simplify, the book portrays this current divide: Trump appeals to certain older-generation, high-profile and politically ardent evangelical conservatives, mostly from the “parachurch” world, allied with a majority of grassroots whites who think of themselves as “evangelical.” The opposite faction includes evangelical executives, educators and pundits, those in the younger generation, blacks and Latinos, and a few proponents of moderate or liberal politics. The anthology’s writers are either perplexed by or openly hostile toward Trump’s political and cultural sway. That’s this work’s major flaw. Surely Labberton could have located at least one thoughtful, Bible-thumping devotee of the current president. Several contributors have major foreign experience and offer the important reminder to parochial Americans that the U.S. situation affects evangelicalism’s growing edge overseas. Several of the analysts target the news media for constantly portraying evangelicals as a mere political bloc, ignoring the religious aspects that dominate life. The Religion Guy would add that countless evangelical congregations shun politics and that evangelicalism as a whole may well be less politicized than “mainline” Protestantism, Catholicism or Judaism. Need an even hotter news hook? 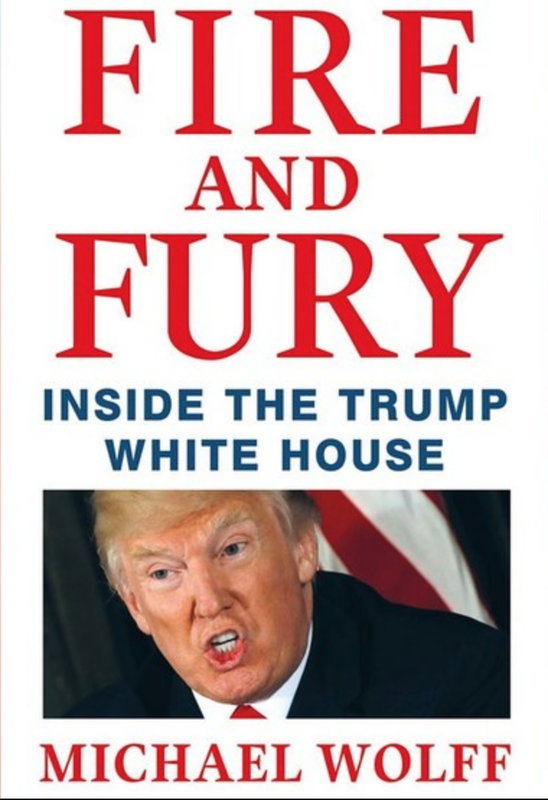 Michael Wolff's disputed new book about President Trump -- "Fire and Fury" -- claims he "liked to say that one of the things that made life worth living was getting your friends' wives into bed," and that he facilitated adulterous seduction by engaging in "sexual banter" with a husband who didn't know his wife was listening in via speakerphone.